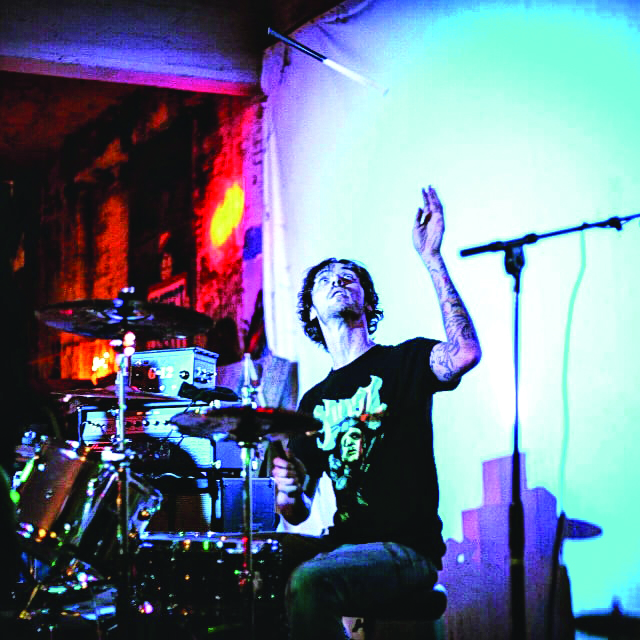 Drummer for Augmented and LAD Theory, Kristofer Petross was asked to join Stone Deaf on a tour leading to the gigantic South by Southwest Festival. We asked him for his reflections on the experience. Tour has been great. A lot of miles and Texas is huge! We started off in Denver then proceeded to Amarillo, Fort Worth, Austin, Houston, San Antonio and finished in El Paso. People think touring is a glamorous lifestyle, but it consisted of tons of driving, hotels and gigs. Didn’t have much time to explore. But being a hired gun for Stone Deaf on this tour has been wonderful. I highly recommend everyone follow them. SXSW was a great experience as well. Being from a small town, it's amazing to have such a great opportunity. Very humbling. Sleep is a great thing while touring, as well. Helps pass the dead time. Touring has given me alot of insight and ideas to bring home to use for Augmented . This is a great learning experience. As this is the third tour I've ever been on it was quite different than the ones before when I was younger and just starting my musical career. However, this lifestyle isn’t meant for everyone. I enjoyed the the time touring and look forward to more of it in the future. Be sure to be on the lookout for great things for both Augmented and Stone Deaf. There are two special shows in April to catch KP with Stone Deaf, Saturday April 6th at Club Rio in Moab and Saturday, April 20th at Intrinzik in Montross.